My loving wife, Cheryle Porter has sarcoidosis and pulmonary hypertension. Her doctors at St. Joseph’s Hospital and Medical Center in Phoenix have told us that she is desperately in need of a life-saving lung transplant. Cheryle is a loving wife, mother of three, grandmother of three (with one more on the way any day now) and good friend to many. 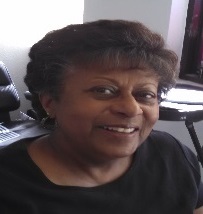 Cheryle has spent her entire life helping others working as a human resource professional college adjunct faculty member, college administrator and a real estate professional. She is looking forward to returning to work and hopes to be able to see her grandchildren grow up and become productive citizens. Even with insurance, there are many expenses that are not covered and must be paid out of pocket. Some of these are co-pays, deductibles, and transportation and relocation for at least 3 months following the transplant. In addition, Cheryle will be on a life-time of expensive anti-rejection medications. Our out of pocket expenses may exceed $30,000. This puts our family up against a challenge we cannot meet alone and need your help. A fundraising campaign in Cheryle’s honor has been established with HelpHOPELive, a trusted nonprofit organization that has been providing community-based fundraising guidance to patients and their families for more than 30 years. All donations are tax-deductible, are held by HelpHOPELive in the Southwest Lung Transplant Fund, and are administered by HelpHOPELive for transplant-related expenses only. Please consider a contribution. On behalf of Cheryle, myself, and our family, thank you for your kindness, generosity, support and prayers. Hello Facebook friends and family. I have been approved for a lung transplant by Saint Joseph’s Norton Thoracic Institute. Please send prayers for a successful new beginning for me. I have Sarcoidosis an immune system disorder. The worldwide sarcoidosis research organization is an advocate for this mystery disorder. 2% of the people with it end up needing a transplant. To help with expenses please send donations to HelpHOPELive for my behalf. A transplant is very expensive and I need help with funding. Wish me well on this journey my family also needs prayers and support. Thanking all. Cheryle needs extensive dental work before the lung transplant takes place. We appreciate any and all help. We are living in Phoenix now waiting to be listed. We are in Phoenix for 3 additional days of testing. Sending you love and healing light for a successful and speedy recovery!